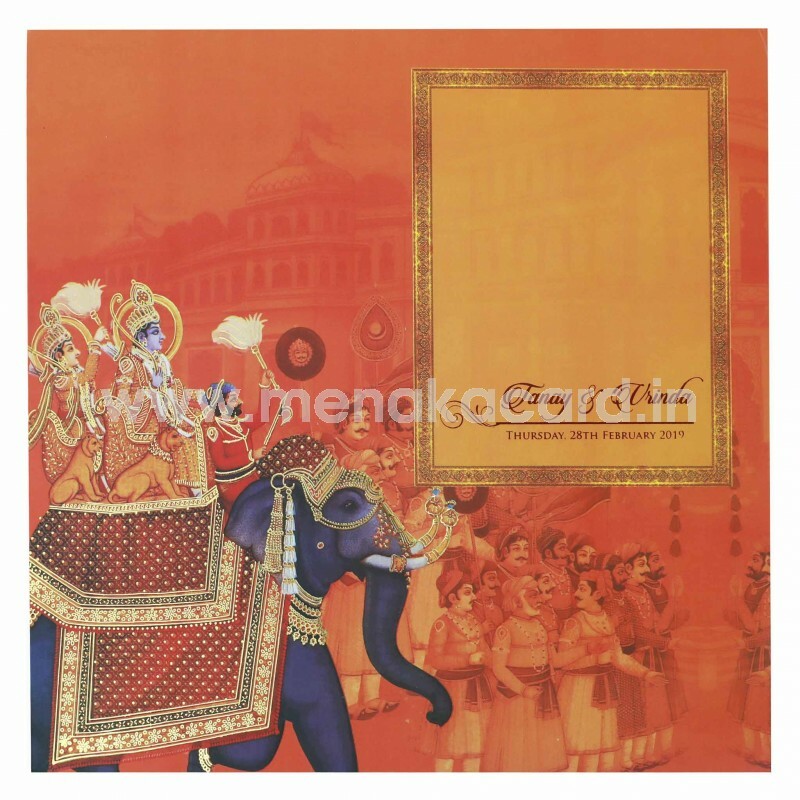 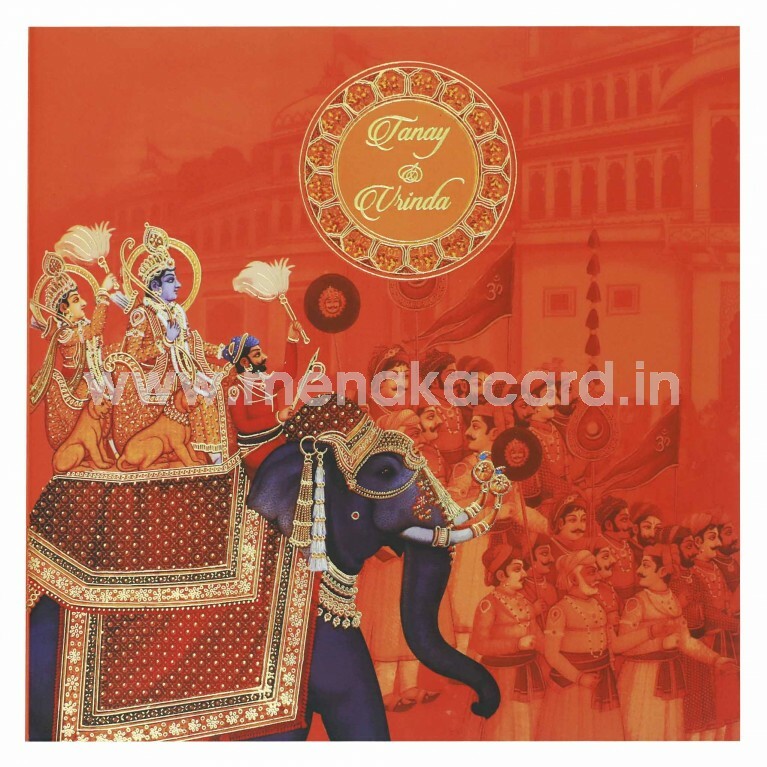 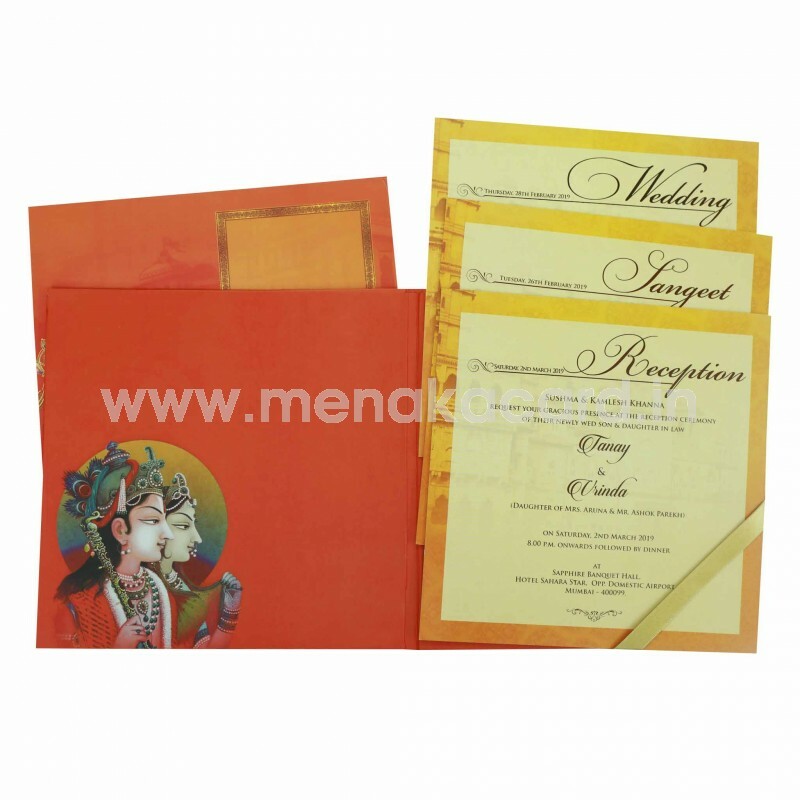 This Respondent orange base padded card has a book fold and is made from a matte finish artboard that has the traditional Bhaarat of a royal groom on elephant bedecked in gold foil printed jewels, with the names of the couple embedded into the top of the card in an ornate gold foil floral frame. The inner cover carries the traditional image of a Madhubani bride and groom with the 2 multi colour printed inserts made from digital print cardboard sitting in a gold corner sash. 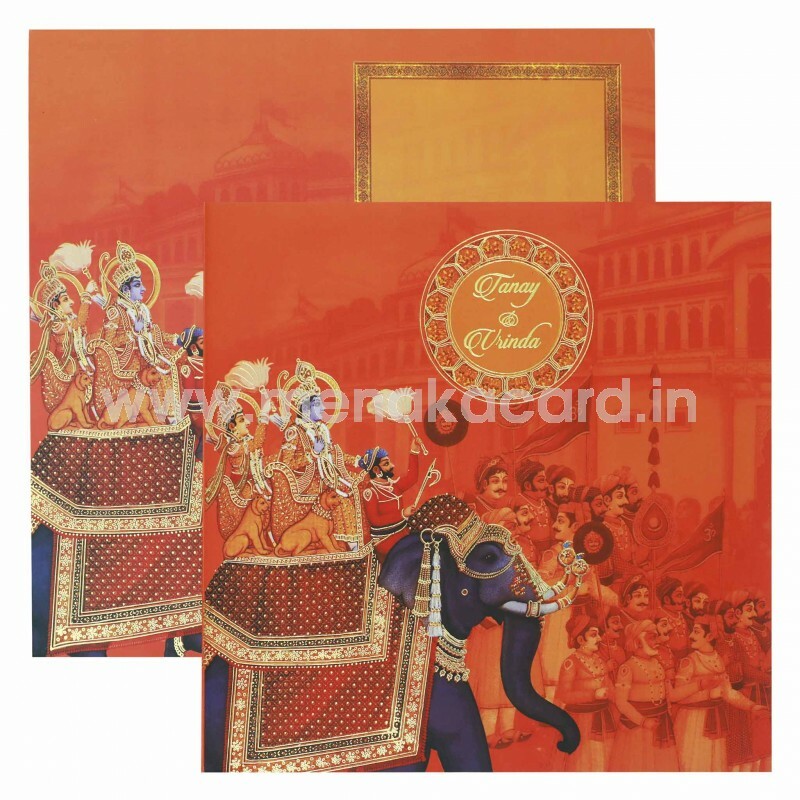 The envelope mirrors the procession in colour and design. This can be used for Hindu, Muslim and Multi-faith weddings.